Lions Camp Merrick has some wonderful supporters, but without the Lions Clubs of District 22 we would not be able to fulfill our mission. These people are truly “the wind beneath our sails.” They are selfless, dedicated and exemplify their motto of “We Serve” and Boy DO they! Interfaith W helps people lift themselves out of poverty through our integrated prevention stabilization and empowerment programs. Lions Clubs International is an international non-political service organization established originally in 1916. Across the globe, Lions are rolling up their sleeves and taking action. With over 1.4 million members, we're the largest service organization in the world. We Serve!! The Lions Vision Rehabilitation Foundation (LVRF) is a private, nonprofit foundation that secures and manages its own funds. The primary purpose of the Lions Vision Research Foundation (LVRF) is to support low vision research and rehabilitation to minimize the disabilities caused by low vision and blindness. We couldn’t share food with our neighbors without you. Manna appreciates donations both from individuals & groups. One of the ways you can help is to sponsor a food drive at your office, faith-based organization, civic group, school, club, or neighborhood association. Check out this Most Needed Foods List to donate the most healthy and helpful foods. MedStar Montgomery Medical Center is dedicated to enhancing our community's health & well-being by offering high-quality, compassionate and personalized care. A part of MedStar Health's mission is to promote the good health of residents of our communities, especially those who face barriers to quality care. As a not-for-profit, we reinvest all of our net revenues to advance our mission of caring. The mission of OBGC is to provide children with safe after-school sports programs that emphasize physical and emotional development, build self-esteem and cultivate a lifelong interest in sports, health and teamwork. 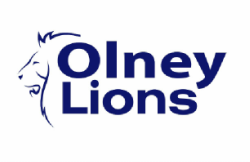 For over 50 years, the Olney Chamber of Commerce has been dedicated to the support, promotion, and representation of its member’s business interests. The greater Olney-Sandy Spring area, located just outside Washington, DC in Montgomery County, is recognized nationwide as Maryland’s top location in combining family, business and leisure. The Chamber sponsors the Leotta Scholarship (in honor of deceased Montgomery County Policeman Neal Leotta) to a student at Sherwood High School. Olney Help has been providing food and financial assistance to local families since 1969. Their clients call with varied reasons for seeking aid. Many are living on fixed incomes or find their income isn’t keeping pace with rising basic expenses. Others have experienced prolonged illness or injury which leaves them temporarily unable to work. Today’s economic climate is forcing many people to request help for the first time. The Lions Clubs is a service organization that does volunteering and fundraising efforts to give back to those in their communities who need a bit of extra help. Moreover, they provide an amazing Lions Club Scholarship that allows individuals to attend school without as much of a financial worry. Sandy Spring Museum is a place where people can develop meaningful connections by exploring community history through visual, literary and performing arts. It’s a community-activated museum, cultural arts center, and gathering place. Sandy Spring Museum supports community-driven cultural arts and educational programs. We gather community to build a sense of place and belonging. The focus is on the heritage of Blacks from their origin through the Middle passage, the salvation the Underground Railroad provided, the struggle for civil rights, and their accomplishments in the United States and African Diaspora. The purpose of the Saint Peter’s Athletic Association is to provide and promote recreational activity that will lead to the development of Christian ideals in the children of our parish and their families. Former University of Maryland basketball star Walt Williams is Master of Ceremonies for the annual Olney Open Golf Tournament. The OLC makes a donation to his charities in appreciation for his help. The Women's Board has been a supporter of our community hospital since its inception in 1920. This organization is the largest philanthropic group of MedStar Montgomery Medical Center. All funds raised support Women's Board pledges made to MedStar Montgomery and their Scholarship Program, for students pursuing a degree in healthcare.